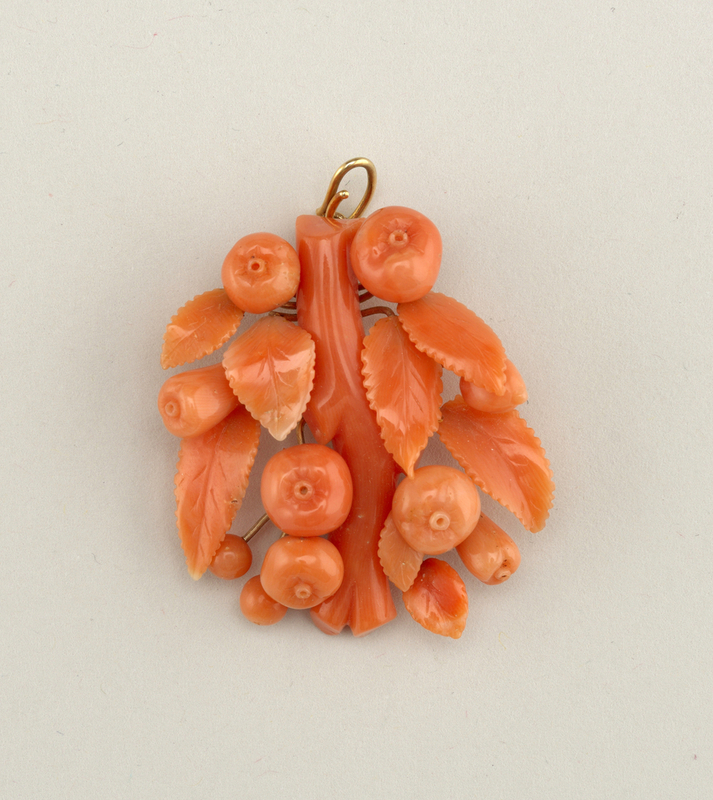 See more objects with the tag branches, fruit, leaves, fruit trees, jewelry, coral, pendant , Italian. See more objects with the color peru brown sienna or see all the colors for this object. 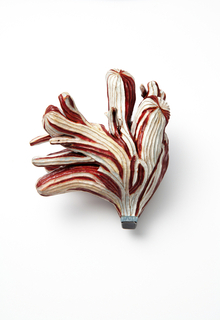 This is a Pendant. It is dated ca. 1850 and we acquired it in 1946. Its medium is coral, gold. It is a part of the Product Design and Decorative Arts department.